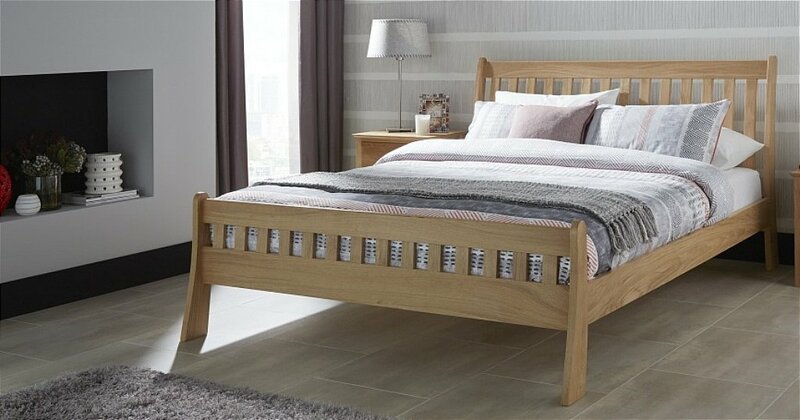 This stylish bed will inject a clear sense of character and style to the bedroom, using the irresistible qualities of solid oak. A slatted headboard and foot-end, a prominent feature of this design, combine with subtle curves and clean lines to create a truly modern look with all the richness and heritage of the nations favourite wood. It benefits from a posture sprung slatted base. I would like more information about Colchester Bed by Serene.